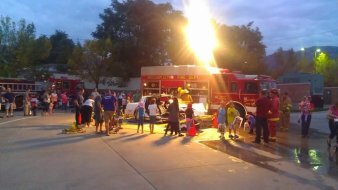 The Brigham City Fire Department provides fire protection and Paramedic level emergency medical services (EMS) to its citizens and to the neighboring city of Perry Utah. Fire protection is provided to 22,400 citizens within the two cities covering 32 square miles. Our full and part-time professionals respond to more than 2,600 calls annually. We provide automatic and mutual aid fire responses to all of our other neighboring communities. Brigham City's EMS services include Paramedic and Advanced level EMTs and ambulance transports for all of southeastern Box Elder County, including Brigham City, Perry, Willard, and Corinne. 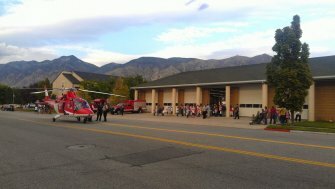 We provide our local hospital (Brigham City Hospital) with interfacility transports for critical care patients. Our department provides a full range of services that include; Technical Rescue (Confined Space, High/Low Angle, Trench, Ice Rescue, Swift Water), Vehicle and Farm Equipment Extrication, Fire Investigations, Fire Safety Inspections, Public Education, Burn Permits, Building Plan Reviews and Hazardous Materials Response. We are proud to provide excellent customer service with highly trained, compassionate professionals. To see the Fire Department's Legacy Roster, click here.